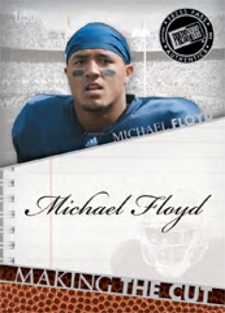 2012 Press Pass Showcase Football continues the company's focus on high-end products centered on the best prospects from the 2012 NFL rookie crop. 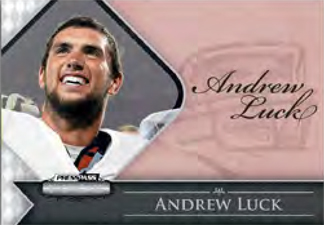 The all-hits release forgoes traditional base cards for autographs. 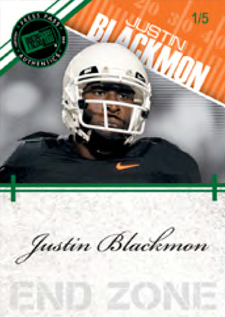 Base signature cards are printed on plastic stock, further adding to the high-end feel of 2012 Press Pass Showcase Football. The checklist is limited to less than 50 players, promising that the set isn't a lot of filler. 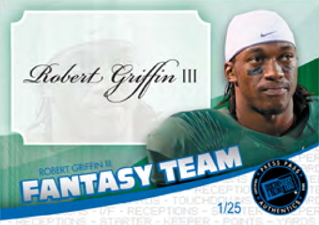 Three autographed inserts continue the spotlight on the best players, including Andrew Luck and Robert Griffin III. 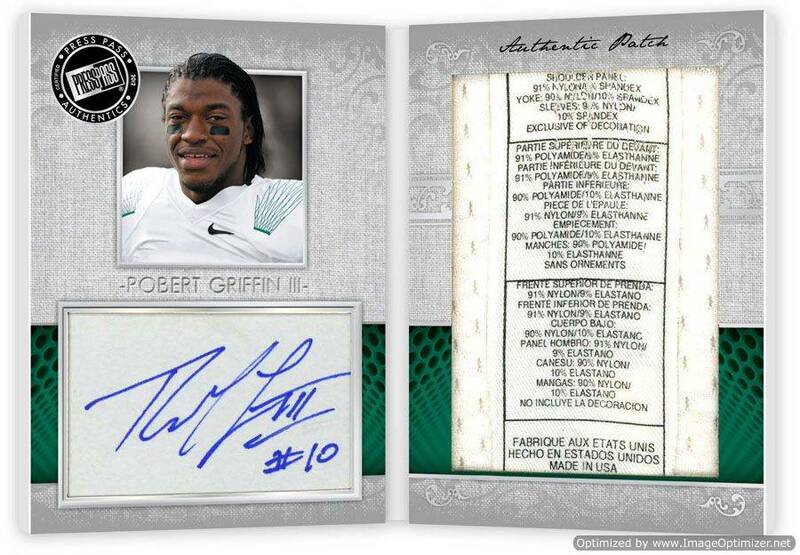 Besides six autographs, collectors will also find one game-used memorabilia card in every single-pack box. With a checklist of just a handful of players, collectors are guaranteed a big-name prospect with their game-used jersey card. 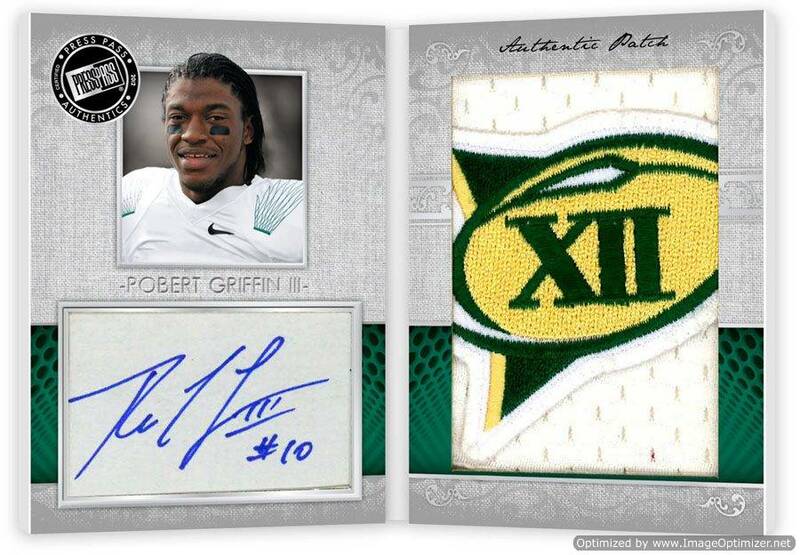 2012 Press Pass Showcase Football is an all-hits set promising six autographs and one memorabilia cards per box. With a checklist of less than 50 signers, Press Pass has focused on the NFL's top prospects to make sure lasting collectibility. Base autographs printed on plastic cards. 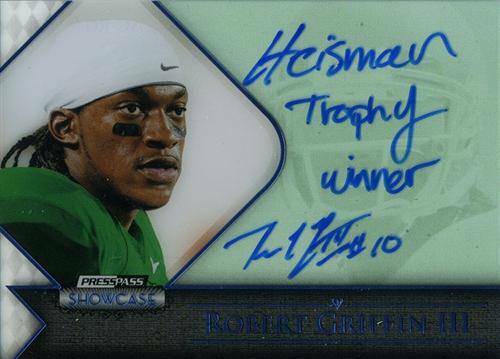 Fantasy Team autographs focus on the prospects who delivered the best stats in 2011. Printed on holofoil, each is available in six levels of numbering (99, 50, 25, 10, 5 or 1). Like Fantasy Team, End Zone autographs come with six levels of rarity. 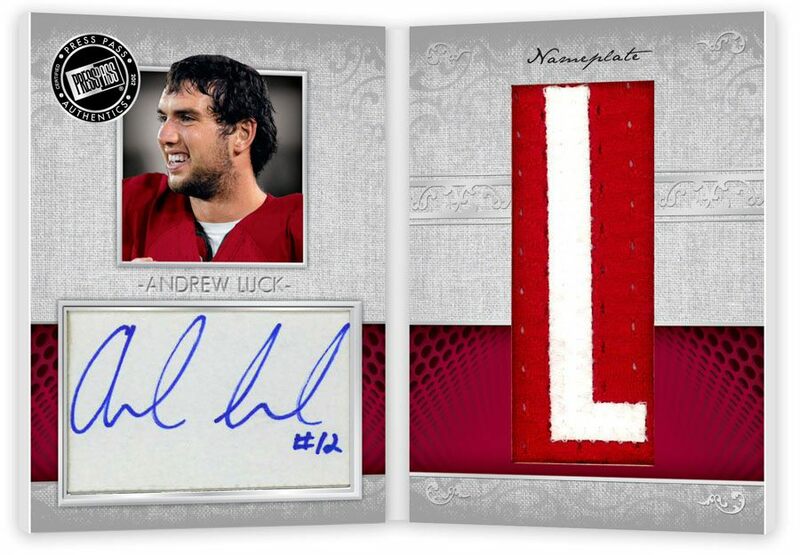 The set celebrates NFL prospects with a knack for scoring touchdowns. Making the Cut autographs honor those who racked up lots of playing time in 2011. The inserts follow a similar pattern of holofoil stock and numbering to 99, 50, 25, 10, 5 or 1. 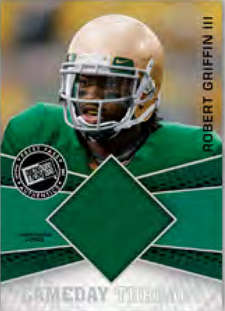 Gameday Threads memorabilia cards feature game-used jerseys. Falling one per pack, only a handful of top players are included. 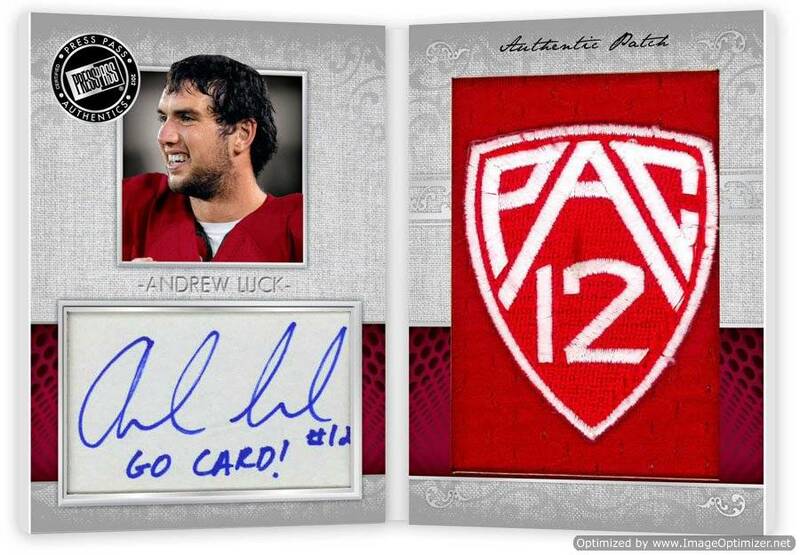 Andrew Luck and Robert Griffin III are both featured on a handful of 1/1 autographed premium patch book cards. Case Keenum, 2012 Press Pass Showcase (Texans) ROOKIE!! !, AUTOGRAPH!! !